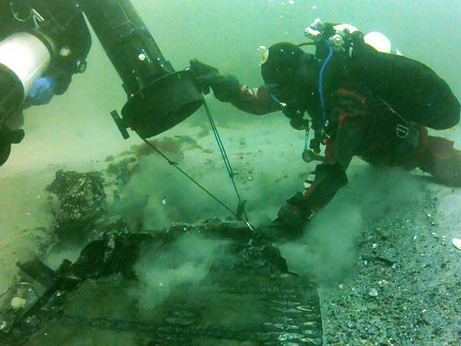 A group of passionate volunteers at the Bomber Command Museum in the tiny town of Nanton, Alberta, are resurrecting the pieces of a Halifax bomber from the ocean floor near Sweden and bringing them to Canada, where they plan to rebuild an entire aircraft! I'm always astonished at how many new stories keep emerging from the Second World War. Here are a few that have caught my eye recently. When I first heard about this, I thought it must be a joke or an exaggeration. I have been to the Bomber Command Museum in Nanton, and like every other visitor, I was staggered with the volunteer commitment to preserving an original Lancaster bomber and a number of other important aircraft and artifacts honouring Bomber Command. Led by retired Air Canada pilot Karl Kjarsgaard, the volunteers have located the wreckage of a Halifax off the coast of Sweden, and they plan to dig up all 20 tons of metal, ship the pieces to Alberta, and using parts from various sources, reconstruct the whole darned thing! Halifax HR871 of the Royal Canadian Air Force 405 Squadron went down during a terrible storm on the night of August 2, 1943, on its way home from a raid on Germany. The British pilot John “Pee Wee” Phillips, who is still alive, remembers it well. He instructed his crew -- navigator Graham Mainprize; flight engineer Herbert McLean; and rear gunner Lloyd Kohnke (all three from Saskatchewan); wireless operator Ron Andrews, from London, England; mid-upper gunner Joe King from Ontario; and bomb-aimer Vernon Knight, from Wales -- to bail out (they all parachuted to ground safely), locked the control stick of his Halifax in place and aimed it out over the ocean. Then he bailed out himself, never expecting to see it again! The bomber plunged into the sea and has been there ever since. Naturally the recovery will be costly, and donations are needed. 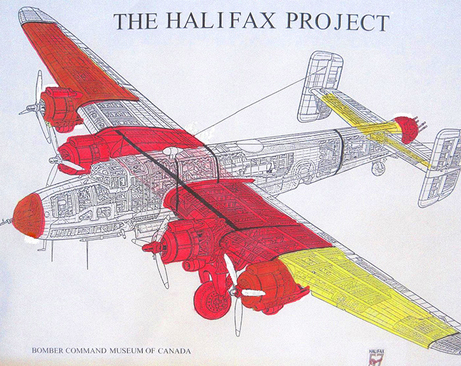 If you would like to support this worthwhile attempt to preserve an important piece of Canadian history, you may donate online here: Help Raise the Halifax. As for rebuilding an entire Halifax, here’s a drawing from the Bomber Command Museum showing how close they are. The red bits have been acquired from various sources, and the yellow bits have been located. Although the iconic Lancaster bomber is perhaps better known, more than 70 percent of Canadian bomber operations were performed in 6,178 Handley Page Halifaxes, making it the most important wartime bombing weapon. The full story was written in the National Post by Ted Barris, professor, author, and historian who also happens to be one of my role models when it comes to research. You can read it here: Bringing the Hally Home. I’m all in favour of wartime veterans receiving the honour due to them, so I hope very much that the last surviving BRITISH dambuster receives a knighthood. 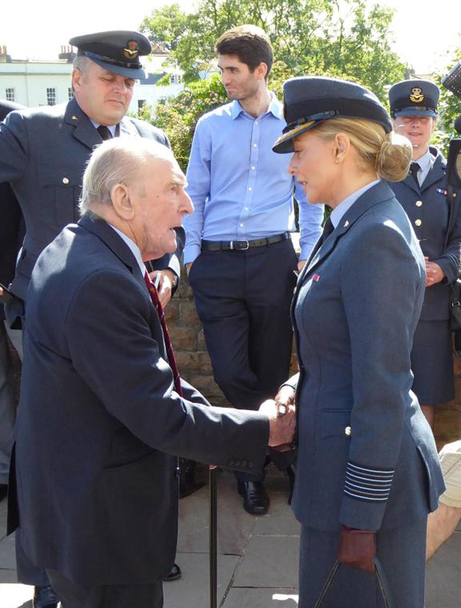 A British television host and Air Cadets ambassador named Carol Voderman has started a petition urging the British government to confer a knighthood on George "Johnny" Johnson, the 95-year-old man who served a bomb aimer during the famous Dambuster raid. Here’s a photo of the two of them. What concerns me and every other "Colonial" following the story is that there is another surviving Dambuster, and he is Canadian. Fred Sutherland is an honourable, intelligent, and modest man living in his own home in the town of Rocky Mountain House, Alberta. He was the rear gunner on a Lancaster that successfully dropped a bouncing bomb and blew up the Eder dam on that fateful night in May 1943. 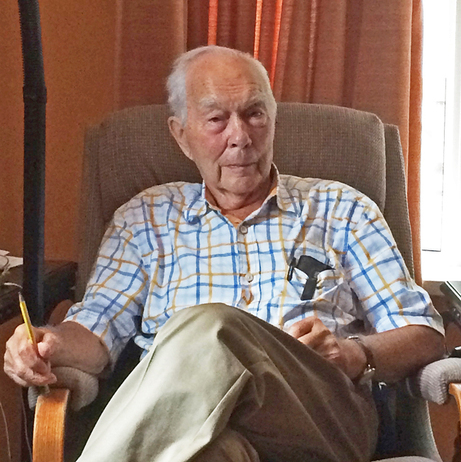 You can read my interview with Fred here: The Last Canadian Dambuster. Fred would be the last person in the world to object to Johnny Johnson’s knighthood (although so far nobody has proposed him for the Order of Canada, our country's highest honour). But his name is not even mentioned in most of the stories about Mr. Johnson. The omission smacks of the wartime attitude by some (certainly not all) British officers toward Canadian servicemen, whose contribution was somehow seen as less important. It has never failed to come up in any interview I have done with Canadian veterans, and it is still a sore point. Calling Johnny Johnson the only surviving Dambuster is just rubbing salt into old wounds. Best of luck to Mr. Johnson, and I hope the British government pays attention to the petition. Here's a story in the British newspaper, The Telegraph. Notice that Fred is mentioned in the very last sentence. If you would like to read the whole story, click: Johnny Johnson. Zahava Kohn was just eight years old and living in Amsterdam when she and her parents were packed off to a concentration camp. Her little brother was hidden by the Dutch Resistance. Just look at her sweet, innocent face and imagine the suffering that these poor tykes endured, and how agonizing for their parents to see their own children being starved and beaten. It is incomprehensible. Fortunately, the family didn’t arrive in the dreaded Bergen-Belsen death camp until January 1944, and the camp was liberated in January 1945. Somehow all three of them survived, and were later reunited with Zahava’s little brother. She moved to England in 1958 and has since been instrumental in public speaking and keeping the flame burning on behalf of other Holocaust victims. 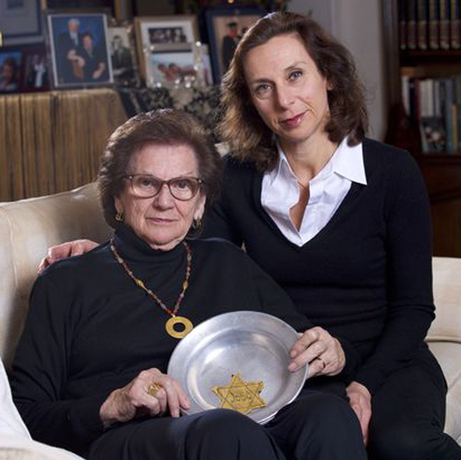 But it wasn’t until 2002, when her mother Rosy died, that she discovered a suitcase filled with artifacts that had been saved from the camp, including a metal bowl and a fabric Star of David like the one she is wearing in the above photograph. This week she brought them to the British version of the Antiques Road Show. You may be able to access the show and watch it yourself. Here is a photo of Zahava with her daughter, Hephzibah Rudofsky, holding the precious souvenirs. 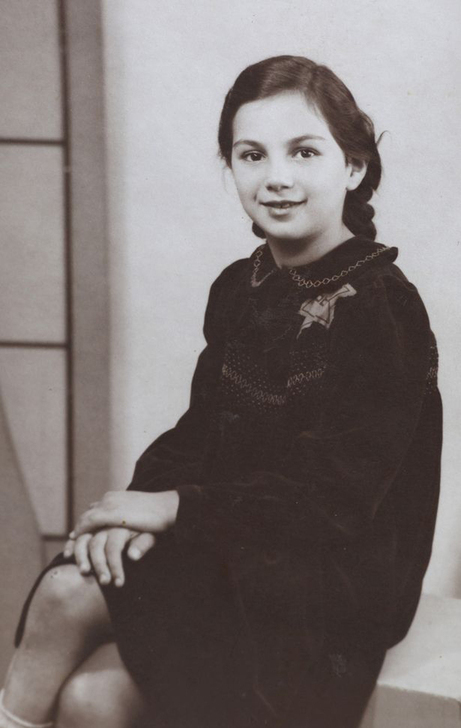 If you would like to read her story and see some wonderful family photographs in The Daily Mirror, click here: Holocaust Artifacts. Since self-publishing my own collection of interviews with veterans in August 2016, I shipped boxes of books to Amazon’s Canadian and U.S. warehouses, to sell through the giant online bookstore. Sales were brisk until I sent my last shipment to Brampton, Ontario, on November 28, in time for the Christmas rush, and Amazon LOST them. I have now sent another box of books to Amazon Canada and all I can do is hope that these won’t go missing as well! Once they are received and processed, they will be available to Canadians here: My Favourite Veterans. The problem occurred in Canada only. The books sent to Texas are available for ordering online from the Amazon U.S. website here: My Favourite Veterans. 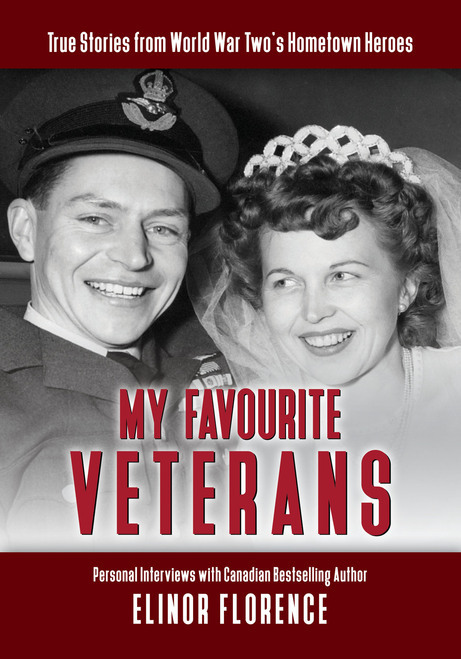 For more information about the book itself, click here: My Favourite Veterans. My New Novel is On the Way! 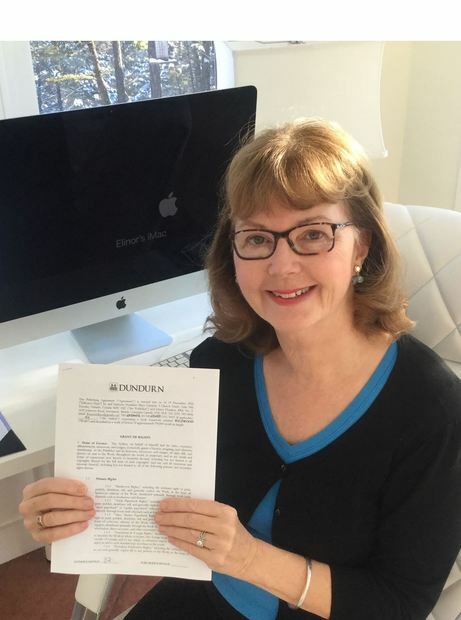 I’m thrilled to report that Dundurn Press of Toronto has offered me a contract for my second novel, tentatively titled Wildwood! 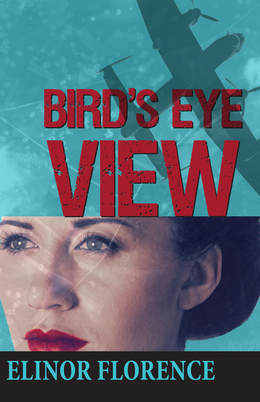 Dundurn Press, well-known for its love of Canadian history, took a chance on an unknown author in 2014 by publishing my first novel Bird’s Eye View, about a young Canadian woman who becomes an aerial photo interpreter in World War Two. That novel has since become a Canadian bestseller. Lovers of wartime history, I hope you won’t be terribly disappointed when I tell you that my new novel does not take place in wartime. It does, however, have a strong historical theme because it describes the life of the pioneers. "Broke and desperate, single mother Molly Bannister of Phoenix, Arizona accepts the condition laid down in her great-aunt’s will: to spend one year in an abandoned farmhouse in the remote backwoods of northern Alberta. This story describes her struggle to master the pioneer lifestyle while battling the beautiful but savage wilderness." 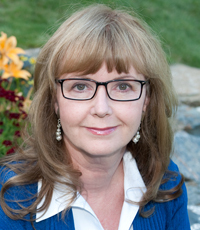 Dundurn has not yet set a publication date. If you would like to be notified when the novel is published, please drop me an email at florenceelinor@gmail.com and I’ll put your name on my notification list. You can also follow me through Facebook, Twitter, and Pinterest. Here's a photo of me with my new contract, looking suitably delighted!